"WWWART offers a comprehensive service, they take care of everything from start to finish. Professional, knowledgeable, and always happy to help. I highly recommend the team at WWWART." "From the moment we sat down to discuss our ideas, right through to launching our brand the professionalism and passion the team put into creating it all was fantastic." "Thank you for your patience and care, we appreciate having you as part of the team that keeps our business moving forward." "WWW.ART Design Services also monitors the traffic received to the website by using Google Analytics; allowing us to ensure the website is reaching our target market and ranking high at all times." "Fiona manages our domain names, email services and website. She and her team provide us with exceptional service and our updates are always completed promptly." "I would recommend WWWART Design Services to anyone looking for a first class web services and solutions." "With my email being based in the cloud via Office 365, I no longer need to be chained to a desk to be productive. I can work from my mobile or laptop and it’s all backed up by Microsoft"
Tailored, reliable & effective website solutions. Quality branding through unique design. A selection of our projects and case studies. WWW.ART Design Services is a full service graphic and web design agency, based in the vibrant North East Victorian and Border region. We work with our clients to develop strong, consistent branding and tailored websites that quickly perform well in search engine results. We take time to understand the goals and expectations of our clients and provide service that is responsive, personal and professional. Select, register and manage your domain names. Setup and implement Office365 email and website hosting. Develop a website that is secure, responsive and Google search optimised. Why work with WWW.ART Design Services? Testament to the quality of our work and service is the long term partnerships we build with our clients. Many of our clients have been with us for more than 20 years, and several are now building their third and fourth generation websites with us. 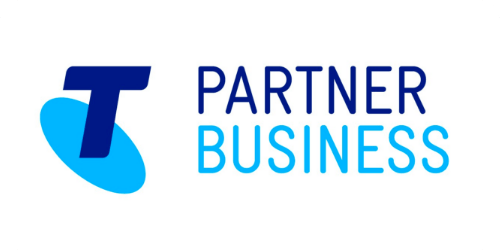 Our clients consider us a trusted business partner; a partner who listens to and interprets their needs, helping to maximise the growth of their business. Get in touch, or contact us today!